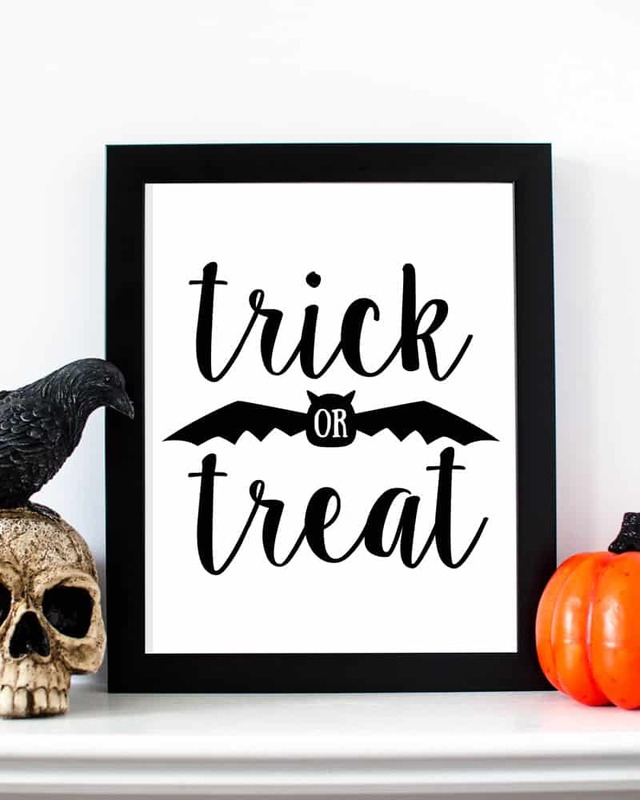 Halloween decorating is so easy with these free printable Halloween decorations. 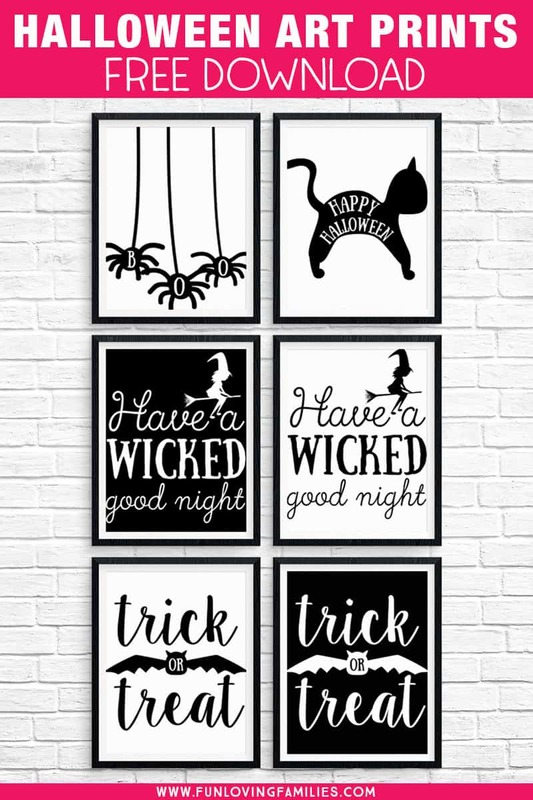 Grab an entire set of Halloween art prints that you can download and print at home! 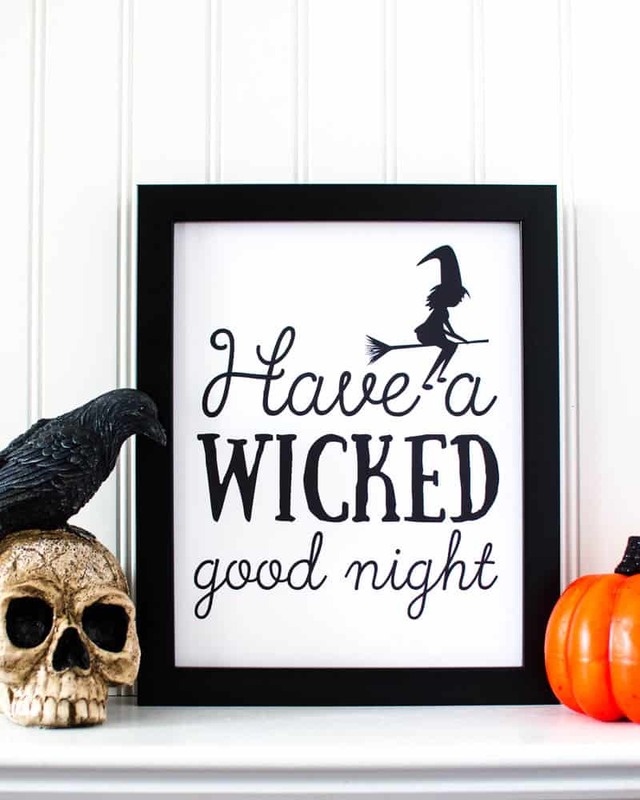 Are you ready to start decorating for Halloween? The holidays move so quickly during this season that it always feels like as soon as I get my decorations for one holiday up, it’s time to swap them out for the next! Since I only have my Halloween decorations out for a few weeks, the last thing I want to do is spend a ton of money. 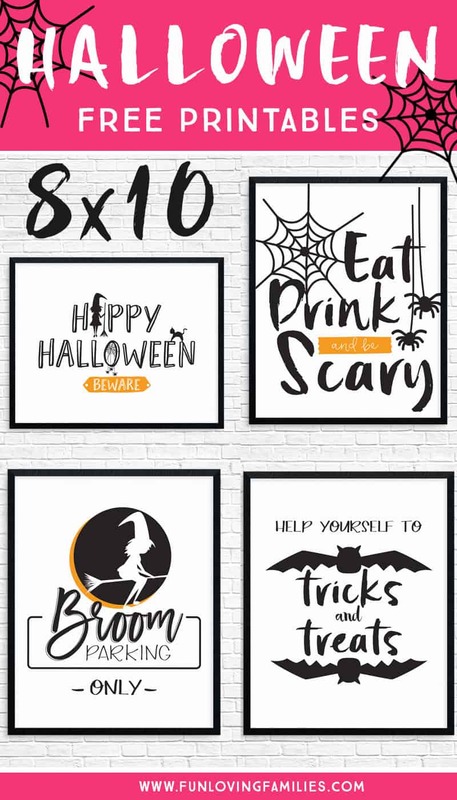 I think the best way to go is to use free printable Halloween decorations, like the set I have here! You can find so many amazing printable decorations these days, either free or paid, and you don’t even have to go anywhere. Let’s start with some 8X10 Halloween prints! These look amazing printed on cardstock and framed. I keep my prints in a rigid binder inside page protectors. This makes it super easy to change out the prints season after season, while keeping them neat and organized. But, if you lose them, or recycle them when you’re finished with them, you can always just print them out again next year! I also like to use printable buntings and banners in my holiday decorating. They’re an easy way to add a little festive touch to any space. 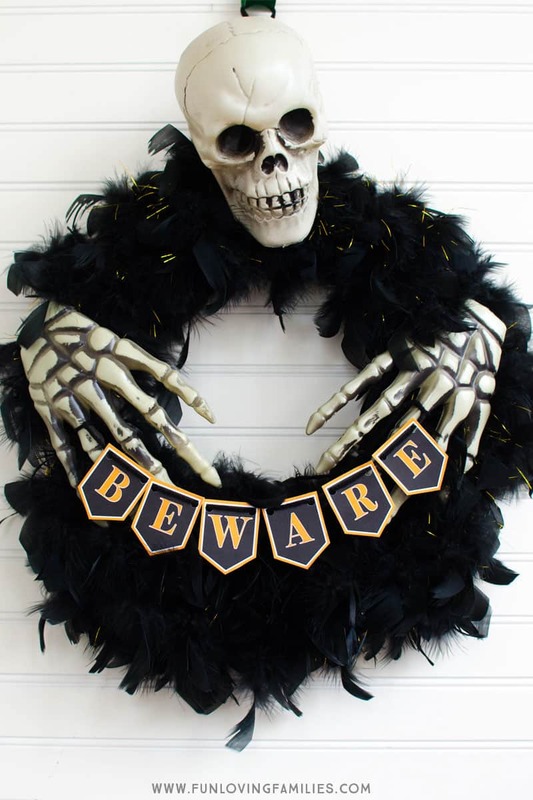 Here’s a tiny Halloween flag banner we used for our “fabulous” skeleton wreath. I ended up moving the banner up higher after I took this picture. We made this about a week ago, and honestly I’m still not sure what I think of it! My husband pointed out that the feather boa gives it more of a “fabulous” vibe than a spooky vibe. But I think I kinda like that about it! In any case, we made it for practically nothing with just Dollar Tree finds (including the wire wreath form! ), and the little printable flag bunting. Find more amazing Halloween ideas here! 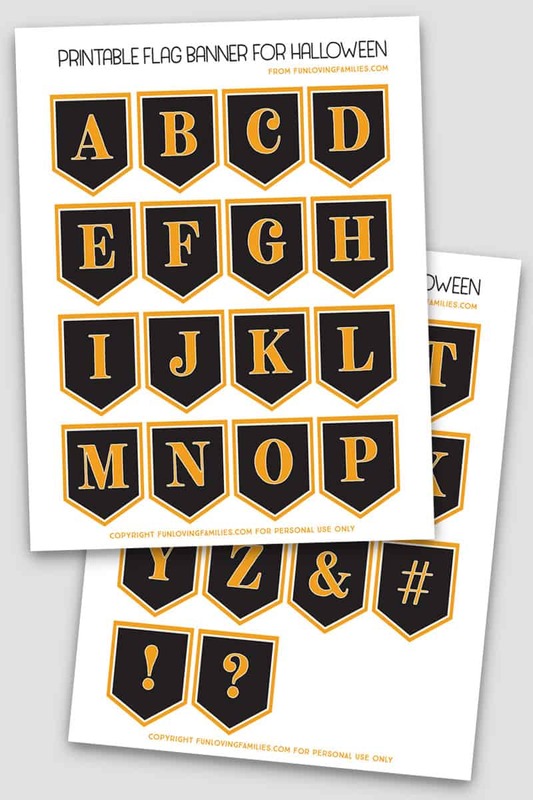 I really love the trick or treat printables especially the one with the black background.. But walmart will not allow pdfs to be printed. Can I get it as a jpeg?